Eco Deco collection, designed by Amin Bouchta allows you to add more beauty in your home. Its elegant design and useful will surely give your home a new sleek look. 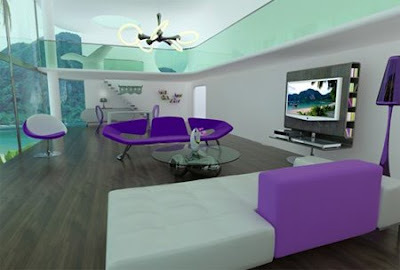 It's great when you can work vibrant colors into your home design. 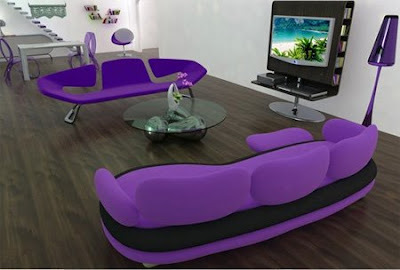 These sofas are from Amin Design and they "aim to please" regarding color. The rich purple creates a big statement as it anchors a living room and creates a sharp contrast to the contemporary theme. I like it in contemporary decorating when a bright color is infused in a room to create some atmosphere.